MMIA offers comprehensive health coverage plans to Montana cities and towns. MMIA contracts with Allegiance Benefit Plan Management for claims administration and other services. We also offer no- and low-cost ways to stay healthy, like Reliant Behavioral Health, Teladoc, and the Montana Health Centers. Allegiance Benefit Plan Management – Allegiance processes medical claims for MMIA Employee Benefits participants. Contact them if you have medical claim, billing, or other questions. Choosing a participating provider to get the best price for your medical care. View your EOBs online any time. You can also switch to paperless EOBs on the Allegiance website. Allegiance offers Case Management to assist you during a medically challenging time. A nurse case manager will help you navigate the medical waters to ensure appropriate and cost-effective care is obtained. Healthcare Bluebook is an online tool that enables you to find the best prices for healthcare services you may need. Click “Cost Transparency” on the Allegiance home page to access this tool. Located in Helena, Missoula, Anaconda, Butte, and Billings, these clinics offer primary care, lab work, flu shots, same-day services and much more. Services are no-cost to Standard Plan participants and a $55 copay for High Deductible Health Plan participants. 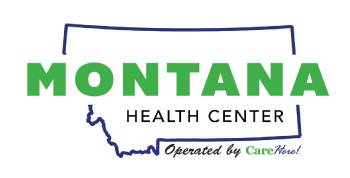 To make an appointment at a Montana Health Center near you, visit www.CareHere.com. First time registration code: MMNA3, or call 1-855-200-6822.www.CareHere.com. First time registration code: MMNA3, or call 1-855-200-6822. Contact Take Control as soon as you know you’re pregnant to get enrolled. No cost, 24/7/365 access to board-certified doctors who can treat many medical issues by phone or video. This added medical benefit gives you an affordable alternative to costly urgent care or ER visits. Simply set up an account, request a consult, and a doctor will call you. No-cost life-balance and counseling services. You (and anyone in your household) can receive up to six in-person counseling sessions per issue, per year. Other services include financial counseling, legal mediation, identity theft services, and standard legal forms.